Dermal fillers come in different forms and the results you want absolutely depends on the type of filler you choose. In order to determine the right filler for you, it is important that you discuss some consideration like the area you want to enhance, your budget, and the result you want to achieve. It is also important that the practitioner that will provide the treatment is using products that are approved by FDA. 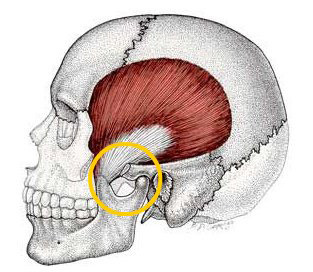 This will not only give you peace of mind but also prevent any possible risks. 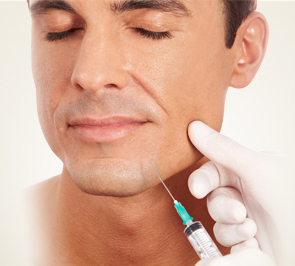 Most dermal fillers available in the UK are resorbable and temporary, only lasting between six and nine months. But these fillers are considered safe because the product will only be absorbed by the body gradually to the extent that possible side effects won’t last long. They are ideal for volume loss, wrinkle and wrinkles, and they’re popular treatment of choice for enhancing the lips. 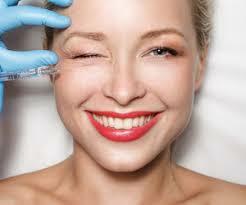 Temporary dermal fillers are usually composed of collagen, hyaluronic acid and hydroxylapatite. Hyaluronic acid is a natural sugar that is a common ingredient in many anti-aging products. When used as a dermal filler, it helps the skin to retain its volume and shape. Hyaluronic acid molecule binds to our skin’s natural stores of water, resulting to the ‘plumping’ of the skin. This gives the appearance of a smoother, youthful complexion. Hyaluronic fillers such as Restylane, Perlance, Juverm, Teosyal and Belotero are widely used in the UK because of their reliability and high levels of safety. Its main component is a substance that can be found in nature. Because it is biocompatible to human tissues, reported side effects are seldom. More than 30 million people have used hyaluronic acid as dermal fillers. Hyaluronic acid fillers have numerous levels of thickness and as such, are flexible option for improving certain parts of the face. Thicker fillers can address cases of volume loss and very deep wrinkles, which can last up to 6 to 12 months. 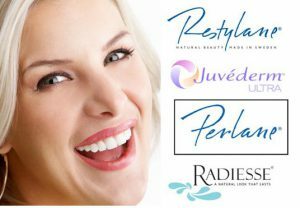 Thinner fillers are better for fine lines or wrinkles or for improving lips. Collagen stimulator is considered as one of the longest-lasting dermal fillers. It is used to encourage the body to form collagen on its own, the protein responsible for the skin’s structure and volume. Collagen stimulator contains poly-l-lactic acid and can correct fine lines and wrinkles, especially nasolabial lines (the deep line forming from the nose to the lips) and marionette line (lip to the chin), add facial volume and improve overall skin texture. This type of filler has kept a safe standard of treatment for many years. 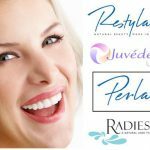 The dermal filler brand carrying calcium hydroxylapatite is Radiesse. 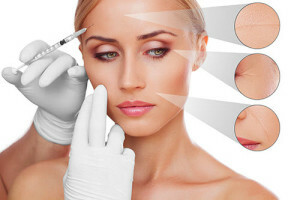 When injected on the skin, it will not only smoothen out wrinkles, it can also stimulate collagen production of the skin, which is a protein vital for a youthful skin. This type of filler is not applied on the lip but is commonly used for improving deep wrinkles and for reshaping the nose. 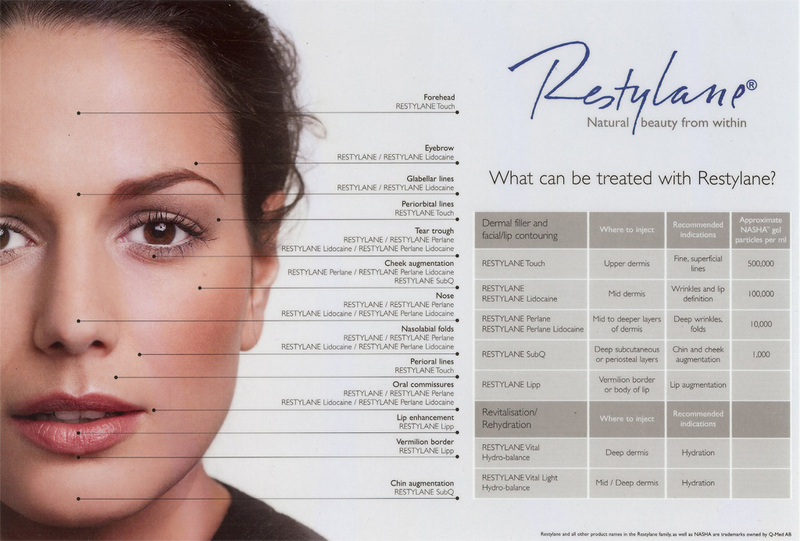 Non-resorbable filler is not commonly used because they can last more than 10 years. If you are interested to get this treatment type, make sure you choose an experienced practitioner to administer long-lasting fillers, because complications may arise as a result of misuse. It might better to try temporary fillers first before jumping into the permanent solution.